Item # 312708 Stash Points: 4,995 (?) This is the number of points you get in The Zumiez Stash for purchasing this item. Stash points are redeemable for exclusive rewards only available to Zumiez Stash members. To redeem your points check out the rewards catalog on thestash.zumiez.com. Race on over to Zumiez for your favorite shoes in a fun new colour. 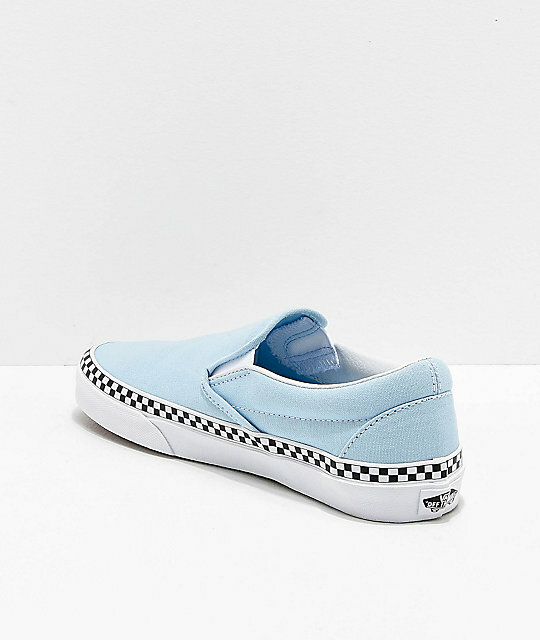 Vans presents the Slip-On Check Foxing skate shoe in light blue and white featuring a blue canvas upper and black and white checkerboard foxing along the classic white outsoles. Complete with lightly padded collars, elastic tongue slits for easy on and off, and signature waffle tread; these classic skate shoes are a perfect new addition to your growing shoe collection. 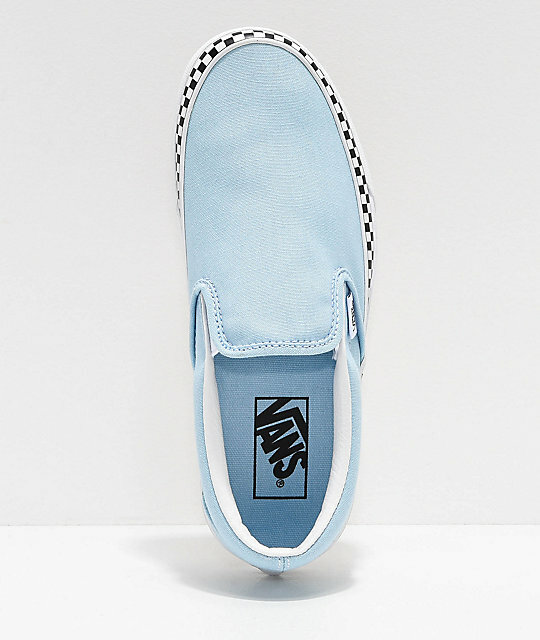 Slip-On Check Foxing Blue & White Shoes from Vans. Canvas upper with checkerboard foxing. 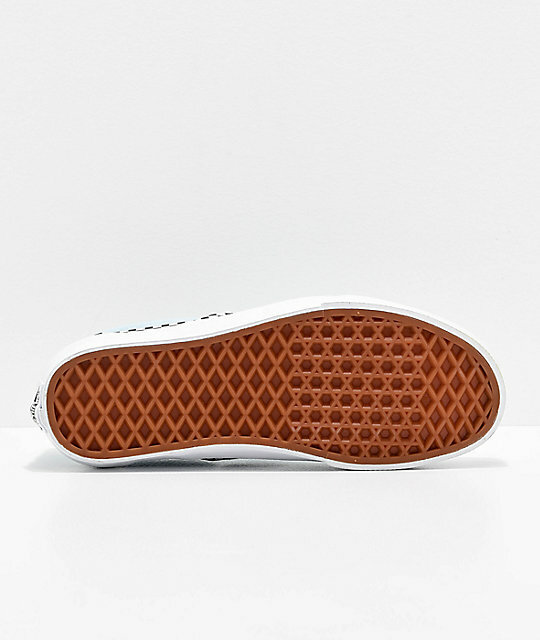 Vans' signature waffle tread pattern for grip. Elastic tongue slits for snug fit.